The microfarm is an innovative gardening tool that is placed on top of a standard 10-gallon aquarium to turn it into an indoor garden that fits perfectly with any home style. The fish and plants work in harmony to make the garden very low maintenance and easy to use. The kit comes with organic basil and oregano seeds, but many other greens can be grown in the microfarm as well. 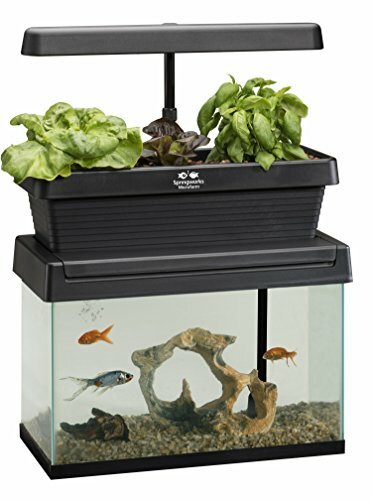 A light is included so you can grow any time of the year by just planting seeds and feeding your fish.